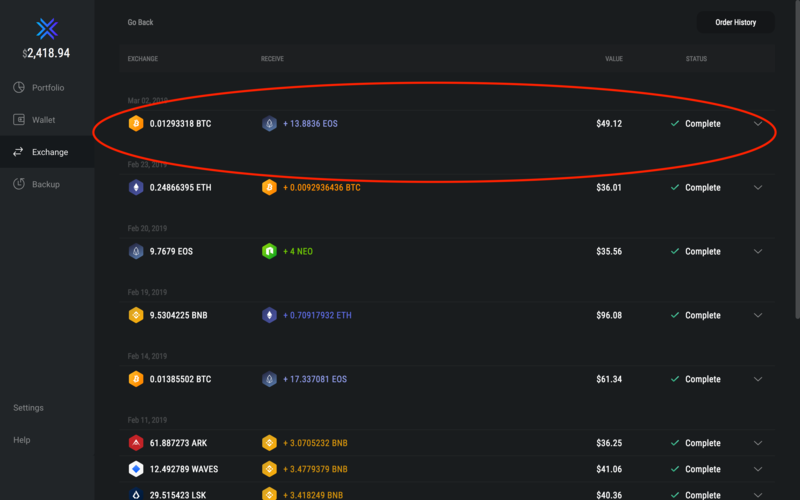 The order ID is useful for Exodus to diagnose issues with an exchange. If you have questions about your exchange, please send your order ID to support@exodus.io and one of our support engineers will check on its status for you. 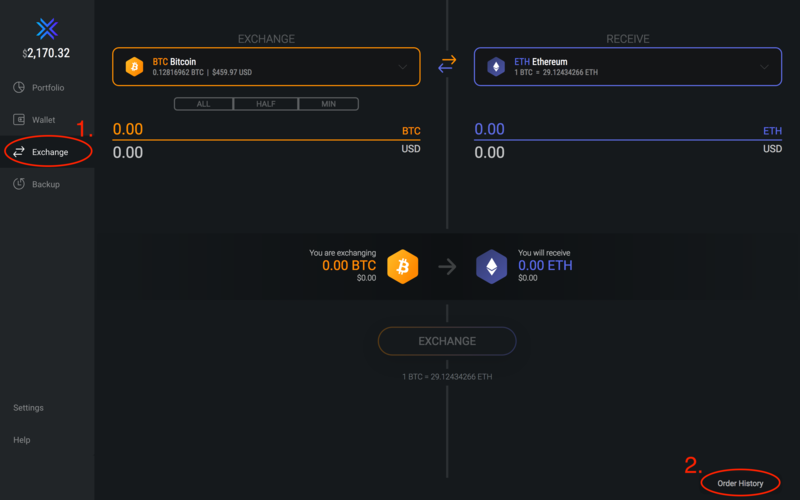 Open Exodus and click on the exchange tab on the left-hand side of the wallet and select Order History from the bottom right-hand corner of the exchange window. Click on the exchange you would like to see more details about. The order ID along with the date of exchange and relevant transaction IDs will be displayed. 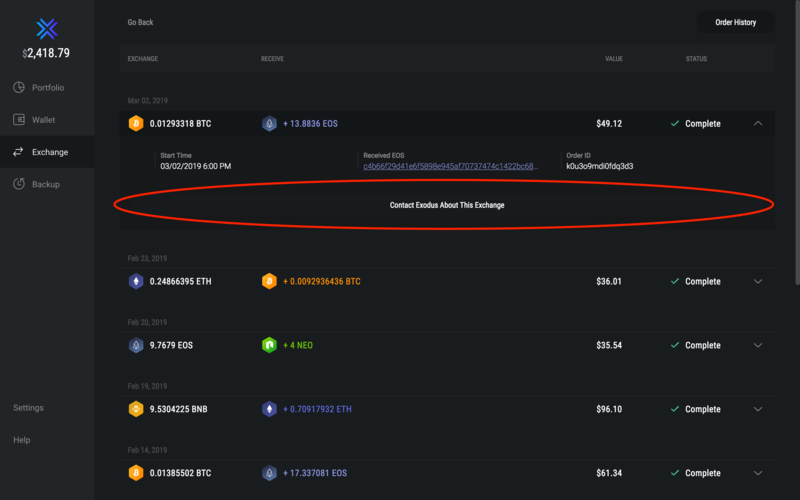 If you receive an error while exchanging, you can click the Contact Exodus about this exchange button and the Order ID will be automatically filled for you in an email addressed to support@exodus.io. Only use this option if you are experiencing an issue with an exchange.